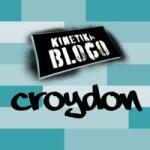 We have a free half term workshop on the 10th – 12th April at Croydon Clocktower. We are looking for young people aged 10-18 to come and join us and play / learn drums, steel pans, brass or woodwind. You’ll create a performance together to be performed to your family, friends and your community. Sign up below. Unfortunately, there is no more space in this section. Great news is we have space in the drum section and the brass &woodwind section.